Hello again, Boils and Ghouls! 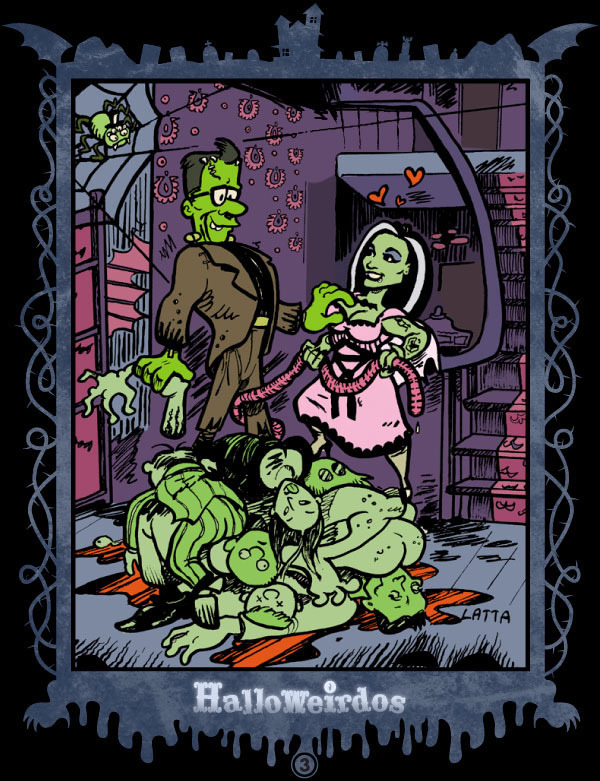 Today’s Halloweirdo is a sickening stab at America’s favorite macabre descendants, and the gruesome twosome the had to step on a lot of bodies to be together. If you liked this family portrait, or even if you didn’t, a new Halloweirdo will be unveiled each day by a different frighteningly talented cartoonist throughout the month of October. there is plenty more here at Wide Awake Press, pretties! Unhallowed Birthday, Down To The Crossroads! This entry was posted in avatars, illustration and tagged avatard, Erin on October 5, 2011 by Josh Latta.